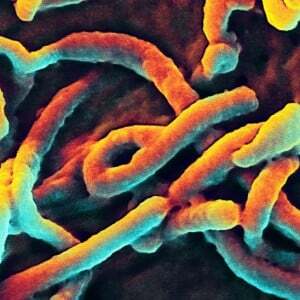 The Ebola Virus Outbreak: Contradictory Reports. Ebola Response Still Not Adequate? Despite the international media attention focused on the latest and most widespread Ebola Virus Disease (EVD) outbreak, there are contradictory reports on whether the three countries most severely impacted have met the goals for treatment set up by the World Health Organization (WHO) and other agencies. Liberia, Guinea and Sierra Leone have borne the brunt of the latest outbreak of EVD where varying statistical reports has placed the number of deaths between 5,900 and 7,000. Although it was announced over the weekend of Nov. 29-30 by the WHO that 6,928 fatalities were confirmed, this figure was later revised to 5,987 by Dec. 1. Problems associated with data collection and tabulations are symptomatic of the response to the regional crisis. All three countries impacted most severely by EVD are seeking to overcome decades of political instability, civil war and military interventions which grew out of the fragility of the post-colonial transitional processes that extended imperialist rule indirectly through the role of transnational corporations and western industrialized capitalist states. The UN Mission headed by Banbury said during the last week in Nov. that it would not meet the objectives previously set for Dec. 1 in its campaign to stop the outbreak in the region. In Sierra Leone the situation is the most acute with breakdowns in response networks even though British and U.S. troops have a significant presence in the country. Despite the deployment of western foreign troops, relief efforts are coming under extreme criticism in Sierra Leone for announcing that a 100-bed hospital would be operational, while in fact, it will not be functional until early in 2015. The facility being supervised by London through the charitable agency Save the Children along with the governmental Department for International Development has treated a total of 44 people with only 14 of its 80 beds being occupied. Located at Kerry Town, just one hour outside the capital of Freetown, the field hospital has been the focus of efforts by Britain to assist in providing treatment facilities available to people living in one of the epicenters of the outbreak. The operation has been open for a month and is staffed by British, Cuban and Sierra Leonean physicians and other healthcare professionals. Administrators of the project from England say they lack the experience of groups such as Doctors Without Borders (MSF), a French-based organization, and therefore attributes the delays to this factor. Meanwhile French President Francois Hollande visited Senegal and Guinea on Nov. 28 seeking to deflect Paris’ critics who says that the former colonial government is far behind its allies in Liberia and Sierre Leone–the U.S. and Britain–in providing assistance to Conakry. The fact that imperialism fosters underdevelopment and dependency in the states and regions it occupies does not mean that this policy has ceased under neo-colonialism. France has troops in many of its previous colonial territories and these military interventions have accelerated in recent years in the Central African Republic (CAR), Mali, Gabon, Niger and other states. However, the impact of the most widespread EVD outbreak in history is clearly related to the legacy of western dominance over the internal affairs of Africa. Furthermore, due to the social dislocation caused by the disease, there is a burgeoning food deficit in the most affected states. These problems cannot be solved under the current capitalist relations of production, trade and divisions of economic power. Africa must take control of its mineral resources and agricultural commodities so that the profits from the sales of these valuable assets will be utilized for the benefit of the majority of the people and not the transnational corporations and their agents within the global neo-colonial system of governance.